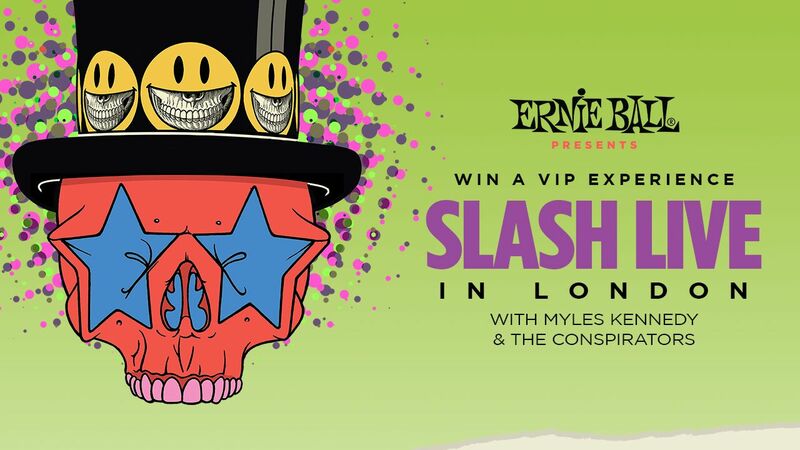 Ernie Ball and Slash are excited to announce the winners of the “SLASH Live in London” sweepstakes. From September 6th to October 31st, Ernie Ball users who purchased string packs from Guitar Center were able to find unique codes inside string packaging, and enter those codes online for a chance to win. Our Grand Prize winner is Eric Lopez! Eric will receive a trip for two to see Slash feat. Myles Kennedy and the Conspirators live in London. Additionally, Eric and his guest will get to meet Slash, receive a rig rundown with Slash’s guitar tech Adam Day, plus take home an Ernie Ball Prize Pack, a Marshall 2525C Jubilee series combo amp, a Dunlop Limited-Edition Slash Pedal Box Set signed by Slash, and a set of Seymour Duncan Slash signature pickups signed by Seymour. That’s a big grand prize. Our five first prize winners are Chris Jones, Robert Parsons, Kevin McDonnell, Paula Hokerk and Jimmy Wolf. These lucky winners will receive an Ernie Ball Prize Pack, a Dunlop Slash Octave Fuzz, a Marshall CODE 25 amplifier, and a set of Seymour Duncan Slash Signature pickups. Not bad for second place. Didn’t win? Be sure to sign up for our email newsletter to be among the first to know about additional chances to win big. Check out Slash as he shares the moments that shaped him, from his dad’s love of British rock ’n roll, to his passion for horror films and his first blues lick in our film, “Unspoken Expression”. 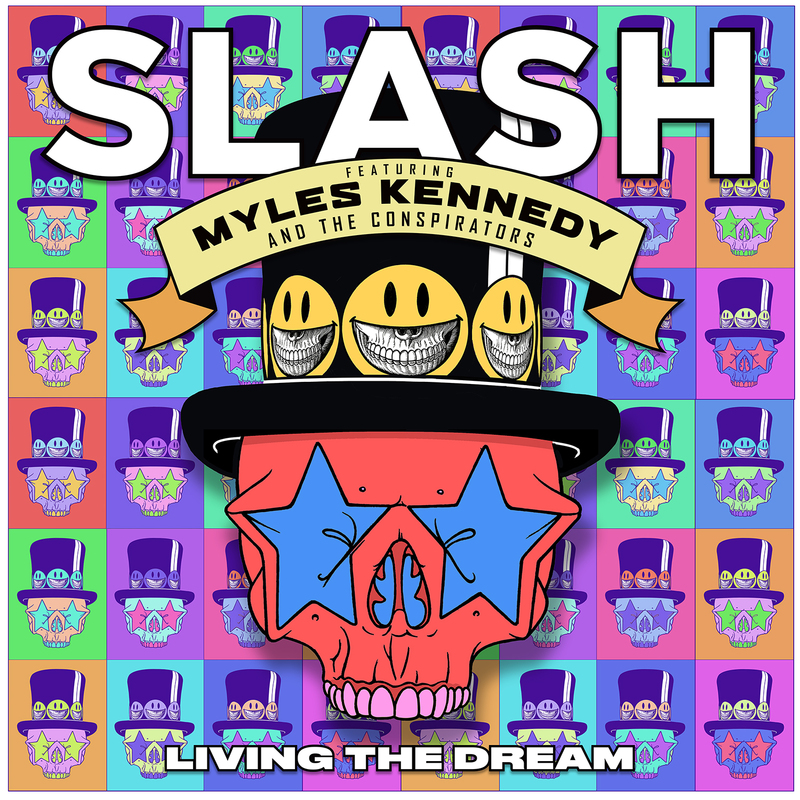 Slash featuring Myles Kennedy & The Conspirators album “Living the Dream” is available now. Slash plays Ernie Ball PARADIGM Power Slinky electric guitar strings. Get yours here. William Ryan Key Drops New Album "Virtue"